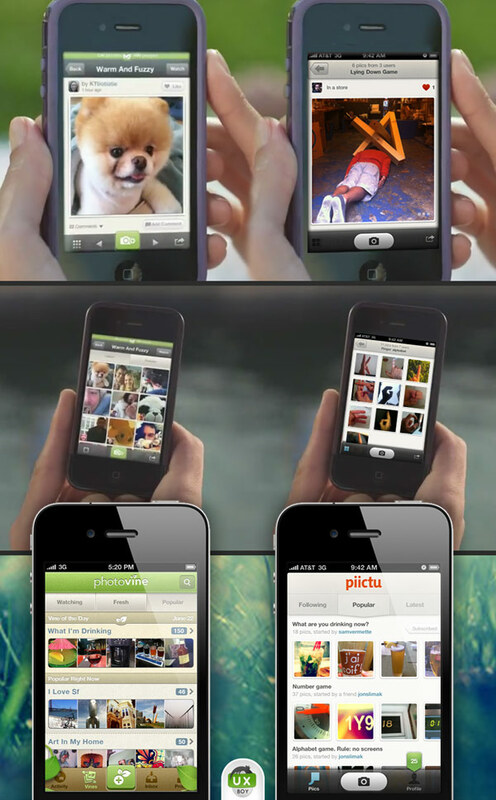 Did Google's Photovine sprout from Piictu? "Plant a photo, watch it grow." Photovine's tagline is just as catchy as the concept behind its launch -- a mobile app-based picture sharing service that groups images together using common photo-driven themes. These groupings, called vines, let you connect with strangers while sharing photos of everyday items that you wouldn't otherwise have any interest in photographing. You can have a vine focused on Swingline staplers, or magazine covers, or bottle caps. But as clever as this concept may seem, it's difficult to ignore Piictu, which budded several months before the Google app. It's certainly not uncommon for duplicate services to sprout, all based on the same underlying concept. But Photovine doesn't stop there -- the app's design is also remarkably similar to Piictu, down to page layouts and even main category tabs. For Piictu's "Following" tab, Photovine has "Watching." Piictu's "Latest" section is matched with "Fresh," and Photovine didn't even bother searching for a synonym for "Popular," which you'll find in both apps. Jump past the break for a deeper look, along with statements from the makers of both apps. We reached out to both Google and Piictu to discuss the striking similarities between their apps. Piictu co-founder Jon Slimak said that he only recently discovered Photovine, and initially felt flattered. In fact, it sounds like he still does. He also doesn't have any plans to pursue the issue with Google, explaining "we're confident in our product, and we're not focused on any of this. We're just heads down and finishing next iterations and future iterations." Slimak pointed out that since February his designer has been posting progress on Dribbble, a public platform for creative types to share their latest projects. It's possible that the Google designers got a little... inspiration here. A Google spokesperson explained that the Photovine team has been working on its app for quite some time, saying "Photovine is a photo-sharing app built by a few folks at Slide, who conceived and started building the product late last year, long before Piictu existed." It's very likely that the original concept was fresh when Slide, a company acquired by Google last summer, began development. But it's equally unlikely that the app's designers had never seen early versions of Piictu, or the final app. Regardless, it doesn't sound like Piictu and Photovine have any interest in duking it out, Apple / Samsung style, so we expect both apps to move forward as planned. Photovine is currently in a "friends and family" testing phase, so our experience is limited to the photos and video that Google has posted. If you can't wait any longer to start sharing entirely random photos with an entirely random group of strangers, then allow us to direct your attention to Piictu. It's apparently good enough for Google, so it might as well be good enough for you, too.